On the twelfth episode of Carroll’s Corner MMA podcast, Kyle Carroll was joined by special guest Brandon Grundy. 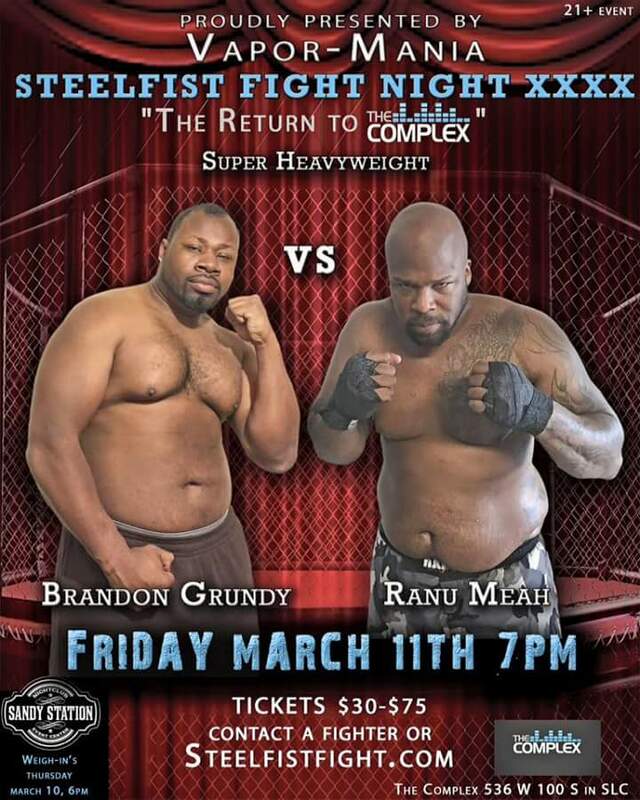 Grundy is a 5-1 amateur heavyweight fighter scheduled to step inside the cage Friday night at the SteelFist Fight Night XXXX. The event takes place in Salt Lake City, Utah, and begins at 7 p.m. mountain time. Grundy is set to fight Renu Meah Friday night in the fifth bout on the fight card. On the show we discussed how Grundy training is going, his upcoming bout and how he got into acting. Grundy shared an intimate story about his grandfather as well. The heavyweight fighter talked about fighting up a weight class. The McGee, Arkansas native moved to Salt Lake City, Utah about two years ago. After fighting in Arkansas, Grundy took some time to get things together in Utah before finding himself back in MMA training. Grundy also runs a personal training boot camp. He explains how he goes about training individuals in their own customized way. Be sure to tune in below to listen the podcast. If you live in the Salt Lake City area and interested in attending the fights, visit Steelfistfight.com for tickets. Tickets range $30-$75. Weigh-in’s take place Thursday night at Sandy Station, starting at 6 p.m. MT.